The Holiday season is upon us y’all! Where did the months go? There are about 3-4 more weeks of celebrations, work parties and neighborhood potlucks, visits from family, shopping and activities that involve your child/children. All the while you’re trying to hold it all together, the stress is getting to you, your sleep is being robbed and let’s face it there’s a lot of temptation everywhere you go including treats and alcohol. If you’re here reading this that means you’re probably working on your gut health and you’re looking for a way to maintain the health of your gut through the holidays right on into the New Year. How did Thanksgiving go? Did you feel like there was nothing you could eat without having some type of reaction or symptom? Did you eat some trigger foods that caused you to feel bad either physically or emotionally? We’re you feeling hostage to Thanksgiving dinner? Or maybe you just felt really deprived because you kept yourself from all that was offered on the table that day. You can find balance EVEN during the holidays. There are simple ways you can continue to maintain a healthy lifestyle and a happy and healthy gut. However, it’s not only about food but also stress, sleep, exercise, and so much more. 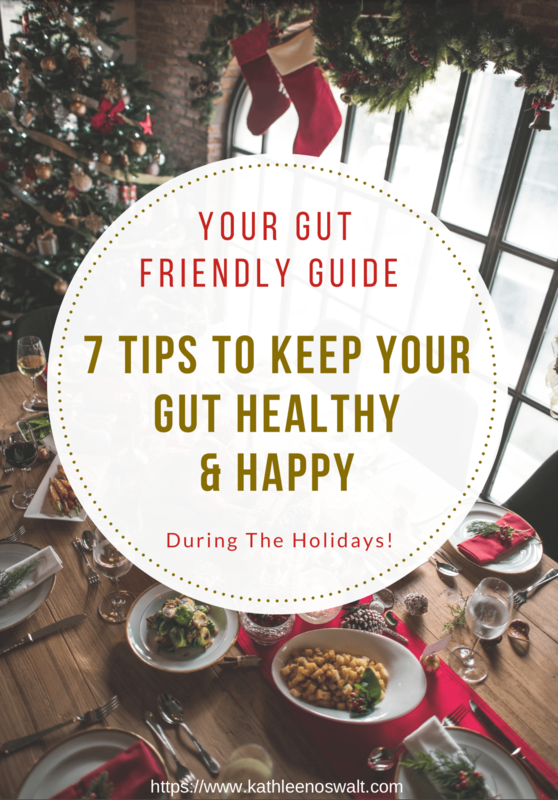 Grab my FREE Gut Friendly Guide today and learn 7 (really simple) tips on how to keep your gut healthy and happy during the holidays! You don’t have to follow each and every tip to have a healthy gut. Pick the tips you resignate with the most and work on those. You might find you’re already incorporating some of the tips into your lifestyle. Wouldn’t that be a PLUS? Take care of YOU this holiday season. I promise you’re WORTH IT! Don’t go it alone, you don’t have to try and figure it all out, just download the 7 (really simple) Tips To Keep Your Gut Healthy & Happy During the Holidays. Above all this holiday season be kind to yourself. Even if you follow the 7 tips I have provided for you in the guide there will still be temptations that aren’t beat, not every occasion is going to go as planned, it’s totally impossible to hit perfection every time you’re challenged. Do the best you can in each situation. If you’d like a little more support and motivation…you want to continue your hard work through December and right on into January and you’d like to be surrounded by people that are just like you then I’d love to invite you into my private Facebook group. A place where you can continue to work on your gut health, living a healthy lifestyle and being the BEST you! 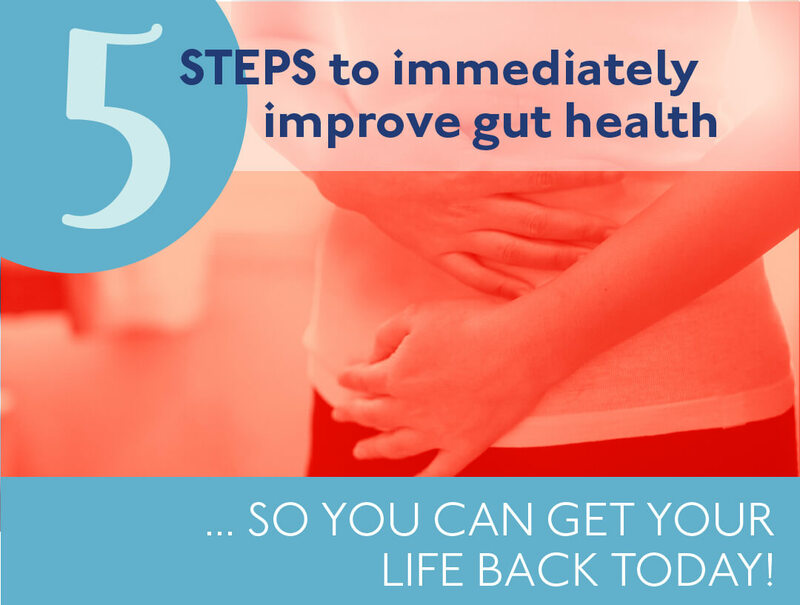 Click right here to Join the private Facebook group Happy Gut Healthy You Project. I’d love to see you in there! I’d love to answer any questions you may have about the tips I’ve provided or any gut health questions in general. Drop me a comment below.